Brazilian Conformity Assessment System (SBAC) is a subsystem of SINMETRO, where the activities of scientific and legal metrology, conformity assessment, accreditation of organizations and laboratories, and standardization are addressed in an integrated manner. INMETRO is the central executive entity of SINMETRO, the manager of conformity assessment programs, as well as the Brazilian official accreditation entity. Brazilian Conformity Assessment Committee (CBAC) is responsible for advising CONMETRO to structure a system of conformity assessment that is internationally aligned to the proposition of principles and policies to be adopted under SBAC. Brazilian Conformity Assessment Program (PBAC), under SINMETRO, has the goal of developing a long-term vision, while strategically managing conformity assessment activities in Brazil. INMETRO, SBAC's managing entity guides the Brazilian effort in formulating the PBAC. The implementation of the PBAC aims to contribute to development, through production and commercialization of goods and services that meet the needs of consumers. 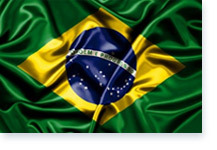 Brazilian Lifecycle Assessment Program establishes guidelines under SINMETRO to provide continuity and sustainability to life cycle assessment (ACV) activities in Brazil, in order to support the sustainable development and environmental competitiveness of Brazilian industrial production and promote access to domestic and foreign markets. General Requirements for Product Certification are intended to establish common standard features for all INMETRO conformity assessment programs that adopt the product certification mechanism. The distinctive features of each of the conformity assessment programs are expressed in the conformity assessment requirements, prepared for each product to be certified, which further detail its specifics. Brazilian Labeling Program (PBE) is coordinated by INMETRO and provides information on product performance, considering attributes such as energy efficiency, noise and other criteria that can influence consumer choice that thus may make better informed purchasing decisions. It also boosts the competitiveness of the industry, which will increasingly make more efficient products.